How Is the Landscape for MLS Changing? The U.S. real estate industry is characterized by decentralization. No one body warehouses property listings across the country. Instead, 630-650 small to medium MLS manage listings within their territory. But this landscape is changing. Over the past few years, some MLS have merged, others have begun data sharing, and many others have begun participating in standardization programs. These efforts have brought greater flexibility and cooperation as well as an underlying reshaping of the industry. In this article, we will review some of the major factors in the evolution of the MLS. Consolidation occurs when two or more MLS become one. One recent example of consolidation was the creation of Bright MLS. Bright MLS formed when 9 MLS from the Mid-Atlantic states merged into one in 2017. Another example is the merger of two New York City area MLS—MLSLI and the Hudson Gateway MLS. The new combined MLS is expected to begin operating in 2019. Consolidation brings down barriers to access for the participating agents. In the case of Bright MLS, the 9 MLS now share the same data platform, which makes it easier for agents to integrate property listings from multiple MLS into a single site. Agents under the to-be-named New York area MLS will automatically gain access to both of the merging MLS. The standardization movement largely revolves around RESO. 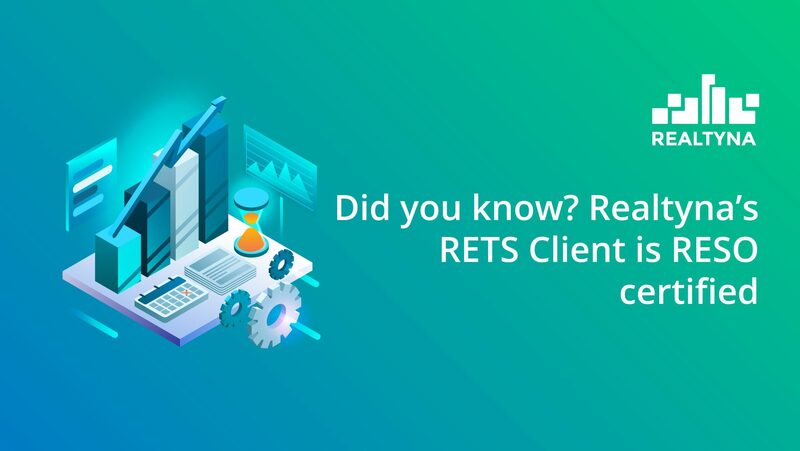 RESO sets technology standards for the real estate industry and certifies organizations that adopt them. Since 2016, RESO has led the transition toward web API. This data transfer technology unifies the process to store and transfer property listing data. RESO standards make it easier for MLS to cooperate and for agents to market listings online through IDX. Single output is an effort within the real estate industry to streamline the process of pulling property data from an MLS. While most MLS now operate under the RESO Web API standard, they all operate separate data feeds. This can present technical challenges to brokers and marketers operating in several markets. The push for single output has been led by MLS Grid, a partnership of MLS that seek to offer their data under a single feed and single licensing agreement. Under the MLS Grid model, any individual or organization wishing to pull data would complete the licensing agreement and select the MLS they wish to access. The data from those MLS are then provided in a single data feed. Single output and single input are two sides of the same coin. While single output seeks a single data feed, single input seeks a single method for entering listing data and storing it online. In real estate’s decentralized system, brokers that market their listings across multiple platforms must enter their data multiple times and in different formats. This makes CRM and back office integration difficult, and it can lead to inaccuracies. Some brokers have sought to address this limitation by providing a single input point from which listing data is distributed to all other platforms. The primary structure behind this movement is Upstream, a broker-owned company that centralizes listing management, storage and distribution. Data share agreements are legal contracts that allow two or more MLS to share listing data with each other’s members. These agreements benefit both sets of agents by granting them a larger audience for marketing and a larger pool of listings to show. Co-mingled feeds also allow brokers to create IDX sites with regional coverage. While their data may appear together, MLS in a data share agreement remain separate and distinct. As an example of a data share agreement, two Colorado MLS, IRES and PPRC, announced a partnership to allow brokers to access data in either market. So now you know the movements influencing the evolution of the MLS. Many of these efforts go hand-in-hand. In a recent interview former RESO CEO, Jeremy Crawford, called consolidation and standardization complimentary. “It makes the data process and the technology process easier when those MLS are using RESO standards,” he said. Others, such as consolidation and data sharing, serve as alternatives. For more on the state of the real estate industry, check out 9 Real Estate Tech Trends to Follow in 2019 and What Is the Difference Between IDX and VOW?